In Western society, New Years lasts a day (maybe it feels longer depending on how much one has to drink). We may spend a few days leading up to it thinking about our resolutions (and what we're going to wear), but by January 2 we're on to other things. Judaism takes a completely different approach. We have a 2 day New Year celebration, and then spend the next 8 days thinking about what we are regretful about in the past year, how we want to change ourselves, and our hopes for the next year. 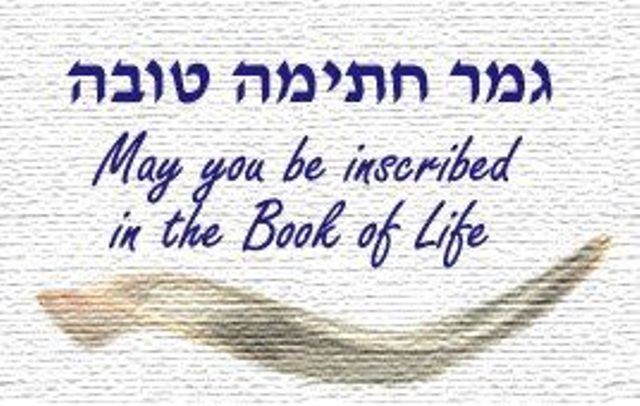 It all culminates on Yom Kippur - the Day of Atonement. This is my favorite time of year. Most people may think I'm crazy - what with a half-day fast and a full day fast within a week of each other, not to mention 3 full days spent in shul praying your heart out. There aren't fun things to eat like sufganiyot (doughnut) on Chanukah, or hanging out in a sukkah (hut), like we'll be doing in a week or so. I feel like this time, more than any other, is a time for connection between people. Inevitably, every year in the week between Rosh Hashanah and Yom Kippur I get phone calls and emails from people I haven't spoken to in longer than I want to admit. Usually they are contacting me for mechilah - asking for forgiveness for something they may have done that was hurtful to me. The idea is that you can't ask G-d for forgiveness on Yom Kippur if there are people you hurt here that you haven't bothered to apologize to first. When else in life are you motivated to really think on the things you've done and if the words you've said may have been hurtful. I also notice an uptick in people saying things, and then immediately regretting them, or thinking harder before they speak. People are really focused on each other and not hurting one another. It's such a sensitive time. Quite the opposite of how I remember the end-of-year parties in the office at my old job - where people came in the next day, after the alcohol had worn off, and asked sheepishly if I remember what they had said. The time spent on self-reflection isn't just meant to motivate you to apologize to those in your life (and hopefully inspire you to think before you speak so you aren't apologizing for the same things again next year), but it also gets you ready for the time spent in shul talking to G-d on Yom Kippur and asking for forgiveness. How can you really stand before G-d and ask Him to forgive you for things that you did that you know are wrong, and probably knew were wrong at the time? Spending that week having to go face to face to your friends and loved ones is such an opportunity to work on your humility. After being able to deflate your pride to apologize to those around you - then you have the capacity to stand before G-d and ask for His forgiveness. Every time we ask someone for forgiveness we are publicly stating that we did something wrong in the first place. Many times over the course of the Yom Kippur service we publicly exclaim the things that we are sorry for, so again, our wheels have been greased to get comfortable with the idea of admitting our transgressions. Probably, if you think about all the people you went to ask mechilah from, each one was for something different. Thinking about how many things you did to be sorry for can be overwhelming, but on Yom Kippur, when we say the Ashamnu prayer along with everyone else, we see that we're not the only ones struggling in life to do the right thing. There is a reason G-d made Yom Kippur for the entire Jewish people: because we all struggle with doing the right thing - holding our tongue or lending a hand or even just making the most of the opportunities presented to us. There is nothing wrong with any one of us for having made mistakes. That knowledge, that we are all human, and fallible, but also capable of doing better next time is so inspiring. May we all have an easy and meaningful fast, and not forget how much we wanted to be good and do good over Yom Kippur and over the rest of the year. Samantha Hulkower is an Olah Chadasha, living in Jerusalem. She enjoys trying to speak Hebrew, finding the humor in every situation (especially dating), and is looking forward to the day she can successfully argue b'Ivrit. 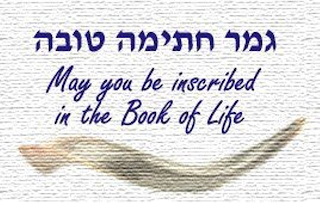 You can also view her blog Curls of Wisdom on life in Israel.